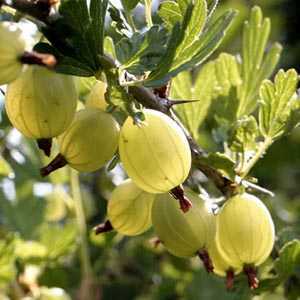 Gooseberry Bush General provides good crops of green yellowish-green or pinkish-red berries ripening along the dense framework of branches through the early summer. 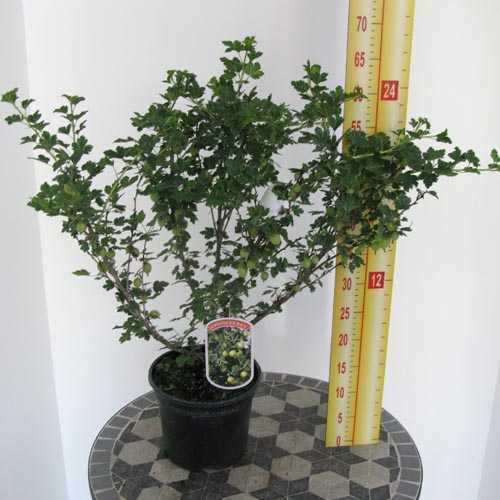 It is a densely branched spreading bush. Provides up to 5lb of fruit from an established bush. Position: Full sun or partial shade frost free spot sheltered from strong winds.